Home » Just for You » Wacom Bamboo Pocket Stylus. A new, compact stylus for use with smartphones, iPad and Android tablets on the go. The extendable stylus fits easily into any pocket or accessory case, while being big on functionality. Perfect for flicking through emails, taking handwritten notes, or capturing ideas whenever inspiration strikes: The Bamboo Stylus pocket is the essential mobile mate. 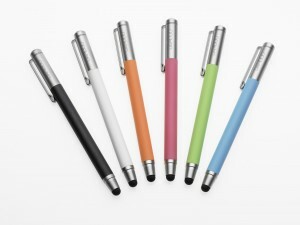 Bamboo styluses also come with a free iPad and Android App called Bamboo Paper App.